Museums are increasingly becoming complex machines tailored to provide not only a space of exposition but also to ensure an experience for its users, a social and gathering space and a place were comfort, quality and functionality are crucial components. Systematica developed a full-fledged pedestrian study for the Jameel Arts Centre in Dubai, alongside Serie Architects and ibda design based in London and Dubai, respectively, in 2016, with the main aim to ensure quality user experience and dimension appropriately circulation and gathering internal and external areas. 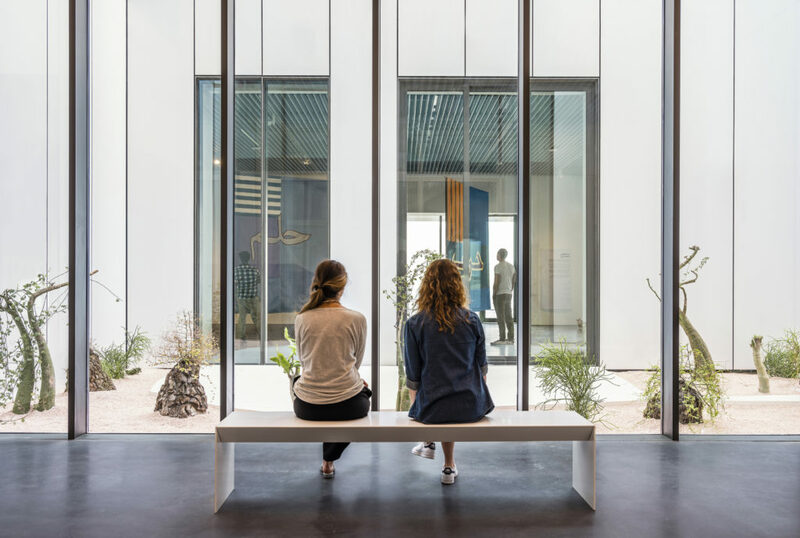 The arts centre, inaugurated on November 11, 2018, is a 10,000 square-meter 3-storey innovative contemporary institution in Dubai that supports arts, education and heritage in the Middle East. The Centre was officially inaugurated by His Highness Sheikh Maktoum bin Mohammed bin Rashid Al Maktoum, Deputy Ruler of the Emirate of Dubai, with directors and curators of major art institutions worldwide and followed by public opening and a week of dedicated events for all ages, attended by 10,940 visitors. Systematica’s endeavour to study pedestrian flows dates back to years ago, acting as a pioneer in the analysis of people’s movements and in shaping space on the basis of people’s needs, spatial perceptions, desires and comfort standards, contributing to the development of the science behind pedestrian movements and merging between complex spatial analysis and solid pedestrian traffic principles. This appointment is part of a series of involvements on pedestrian flow analysis on art exposition venues such as Expo 2015 in Milan, the Grand Palais Museum in Paris, Pushkin museum in Moscow and several others. Moreover, Systematica’s work with the Abdul Latif Jameel business includes also its work on the Hayy: Creative Hub in Jeddah, contributing hence to a solid path that the firm is striving to achieve with the aim to provide the younger generation with a place for creativity and art.